Extraterrestrial aliens are on Earth today. 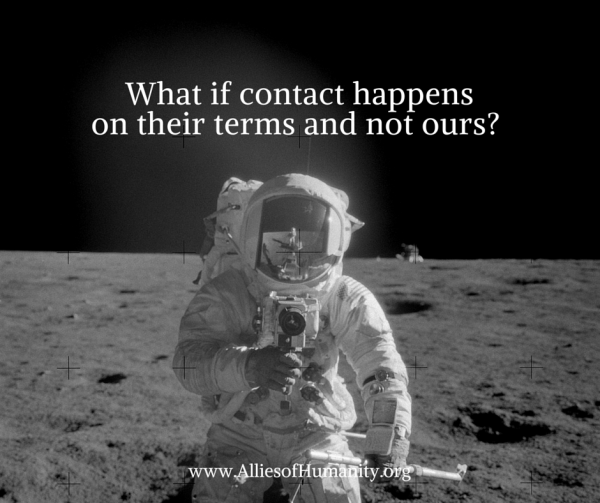 Contact is not what you might hope for. Extraterrestrial races from beyond our world have already prepared for us, but we are unprepared for them! This is why a New Message for humanity has been given: to prepare us for contact with intelligent life in the universe and to protect us from intervening alien forces who would subjugate the human family and take our world as their own. This is a Greater Darkness in the world, a greater darkness that most people are too afraid to even think about. But it is something that humanity must prepare for, and that is why there is a New Revelation. Aliens will not engage in a brute force attack. Instead, they operate in the mental environment with manipulation and seduction to convince humanity that we need alien occupation. The extraterrestrial aliens here today are commercial forces seeking biological resources. They look at humanity the way we look at domesticated animals, as a resource to be used. If enough people on Earth resist the Alien Intervention, then the alien intruders must retreat. The greatest defense for the protection of Earth and humanity is a spiritual defense. Inner Peace and Calm by Knowing that you are on the right path in your life, internally and externally. 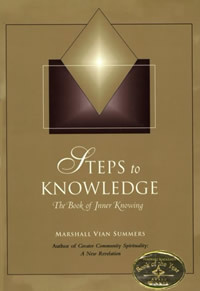 Life Meaning and Purpose which is your birthright, and is living within you now and is waiting to be discovered by you. Discernment and Discretion to navigate an increasingly confusing and difficult world as we face great changes from within and beyond our world. Learn the secrets of the Hidden Threat of Intervention. Prepare for ET contact and learn more about the Greater Community of Extraterrestrial Life. Weekly Emails on spirituality, humanity’s emergence into the Greater Community of intelligent life and the Great Waves of change upon the Earth.